Videorista is the #1 Green Screen app for video production on the go! Simply stand in front of any green wall, browse our High Tech Royalty-Free collection of professional-quality backgrounds, stock videos and virtual sets and start recording. You can even add lots of foreground 3D accessories to make it look even more impressive. 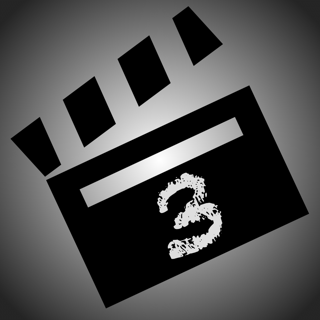 Get ready to take your video productions to a Hollywood Level !! Videorista is the perfect tool chosen by film industry professional artists to create amazing scenes with sharp Visual Effects in the most affordable yet creative manner. Using a conventional green screen backdrop, you can instantly jump from one virtual set to another in real-time. All the way from a News Virtual Set with foreground props and accessories to a classic Vintage Studio Interview with various camera angles, animated video backgrounds and realistic 3D depth. Or why not start your own superhero blockbuster production today? •Explore and choose from a vast visual effects collection of digital backgrounds, stock video and virtual sets. •Switch from various custom camera angles depending on the distance from your actor. •Enable, disable or even make combinations of foreground props and accessories for your set. •Save and organise your videos in a beautiful collection with editing capabilities. •Trim and export your videos to camera roll. •Share your videos with your friends through your favourite social networks. •Connect your iPhone to your Mac and share a live streaming broadcast with services such as Zoom while recording at your favourite virtual set. Crafted by Visual Effects artists, Videorista is a High Tech Royalty-Free Stock Video collection which offers direct download of amazing futuristic, technological, cybernetic and innovative stock footage, as well as 3D virtual sets and tools for video post-production. Go visit videorista.com https://videorista.com/ and take your video productions to their next Hollywood level! 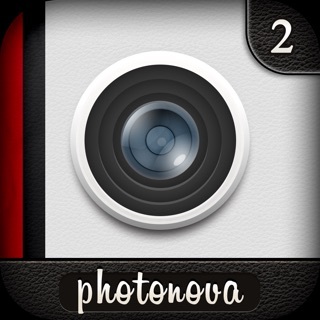 - Videorista Pro unlocks all App features and limitations. - You will be able to download all Videorista products (virtual sets and stock video backgrounds) directly to your App Downloads section with your mobile device and use them with Videorista's Green Screen feature. - Minor bug fixes & stability improvements at the downloads section. - Fixes a bug where some downloaded videos won't be saved correctly. - Fixes a bug where some Foregrounds would make a video export as a solid black video, we highly recommend to download any Virtual Sets that contains Foregrounds. This app had a nice layout and worked seamlessly, but I can’t import videos and the backgrounds cost tickets, which are bought with money. I would recommend this app if you shoot video through the app itself, and if you have a couple bucks to spend. It crashes and unreliable. I did a whole 45 min show and it only captured 10 minutes and was black the other 35 minutes. Total waste of time and footage....How do i get my money back. I know that you don't have to log in for this kinda stuff, so I believe that this app is spam and trying to hack your phone! I'd definitely NOT recommend using this app for privacy purposes! We require a Log In to Videorista - Green Screen Removal so we can get track of which videos you've downloaded, so when you log in to another device you can download them directly from the cloud.